Combine the muffin mix with the butter and water, then beat until smooth for approx. 3 mins. using the whisk on a hand mixer. 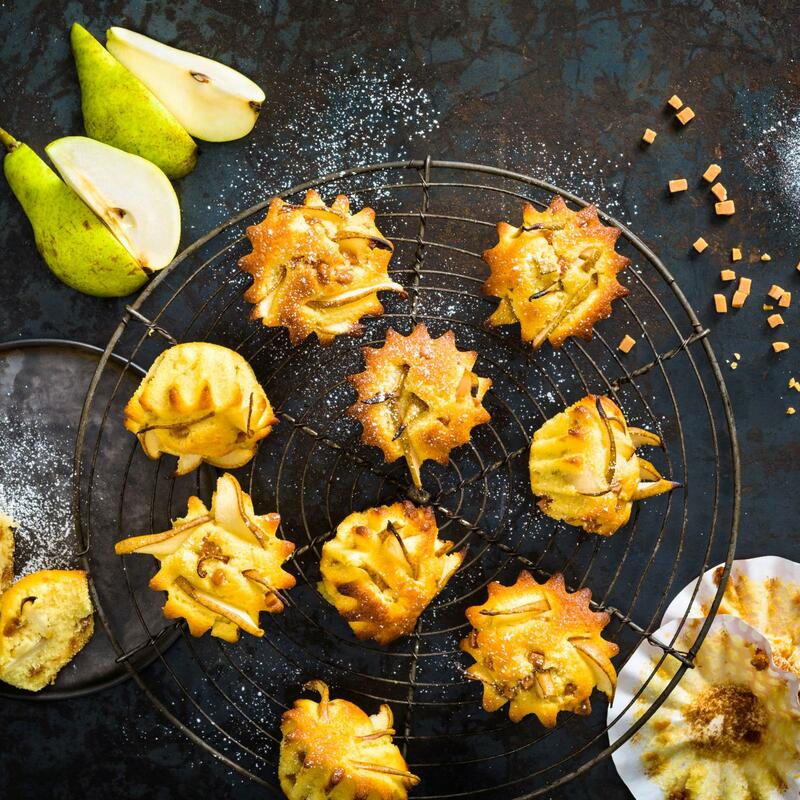 Stir in the caramel cubes, spoon the mixture into cases and insert the pear into the muffins. approx. 20 mins. in the centre of an oven preheated to 200°C. Remove from the oven, allow to cool on a cooling rack.